Rte. 128 at East St.
Driving around the narrowed streets of Dedham and listening to the news stories of buildings collapsing under the weight of snow naturally causes one to think back to the Blizzard of ’78, which occurred 33 years ago this week. Now 33 years isn’t all that long ago, yet I find it hard to recall many specific details about the storm. Some of my recollections include: walking out to Rte. 128 near East St. to look at all the abandoned cars- people walking from Roche Bros. in Westwood pulling sleds with groceries-watching some guy in a tiny jeep try to plow Tower St. (he finally gave up and left the jeep there in front of the mountainous pile of snow he’d created). I was working at Wrangler Wranch in the Mall at the time, and I remember some time after the blizzard getting a check from the state for the missed work days due to the state of emergency that kept the Mall closed. 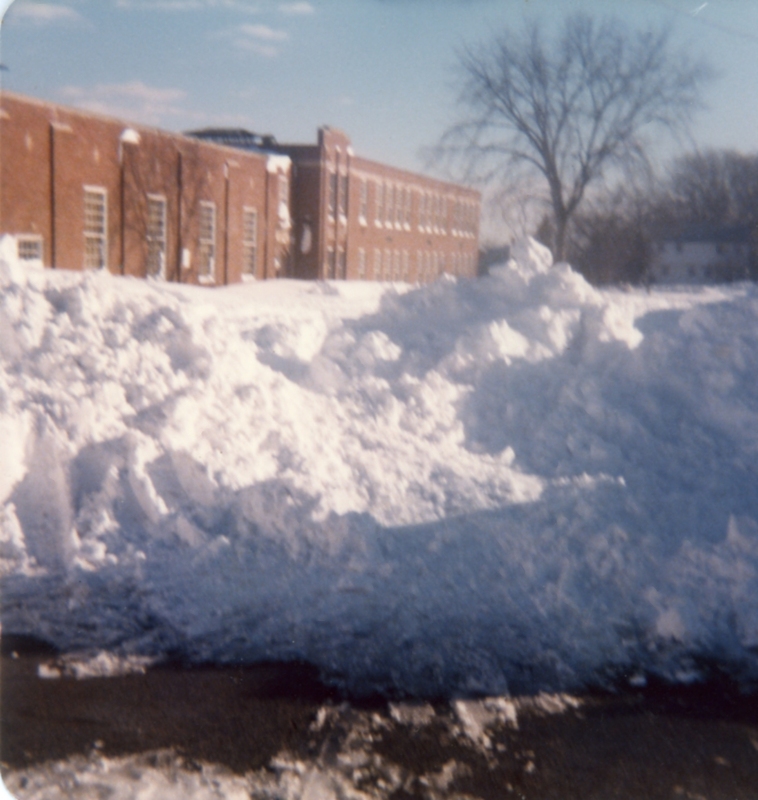 What are your Blizzard of ’78 memories? LATER THIS WEEK- Blizzard Tales from Dedham! This entry was posted on February 6, 2011 at 10:03 am and is filed under JP's Dedham. You can subscribe via RSS 2.0 feed to this post's comments. You can comment below, or link to this permanent URL from your own site. 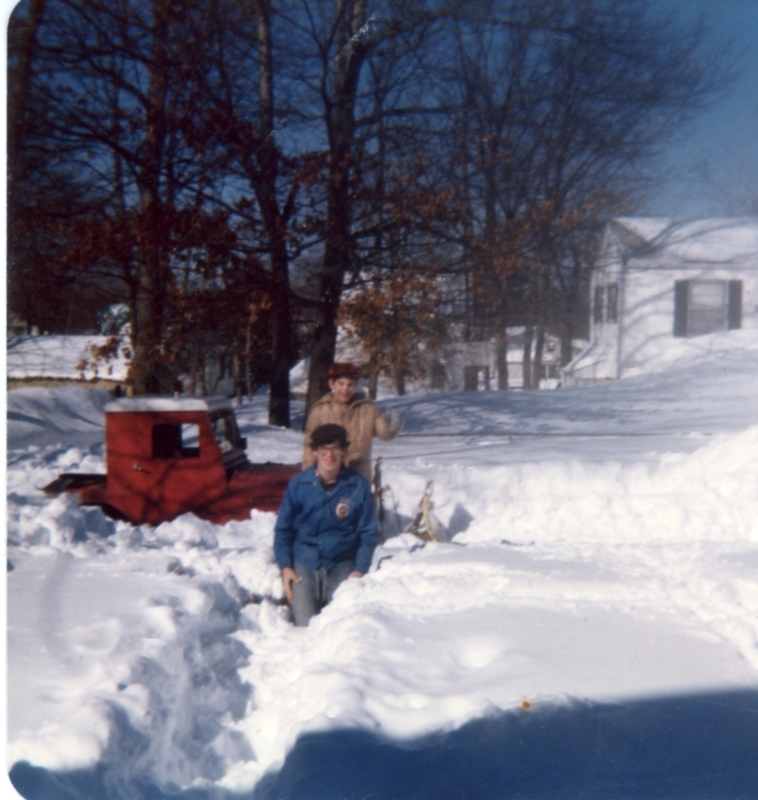 I left Curry College to head home in my 72 Mustang when it started snowing in the early afternoon very heavily. If I had left the campus any later I would have been stuck on RT#128 like all those other vehicles for several days. Seeing the devastation in Scituae the next day was unbelieveable! I also recall Marshall Law being enacted. Luckily my dad owned a rubbish company at the time and we never got hassled when drving in his trucks when we need to go out. 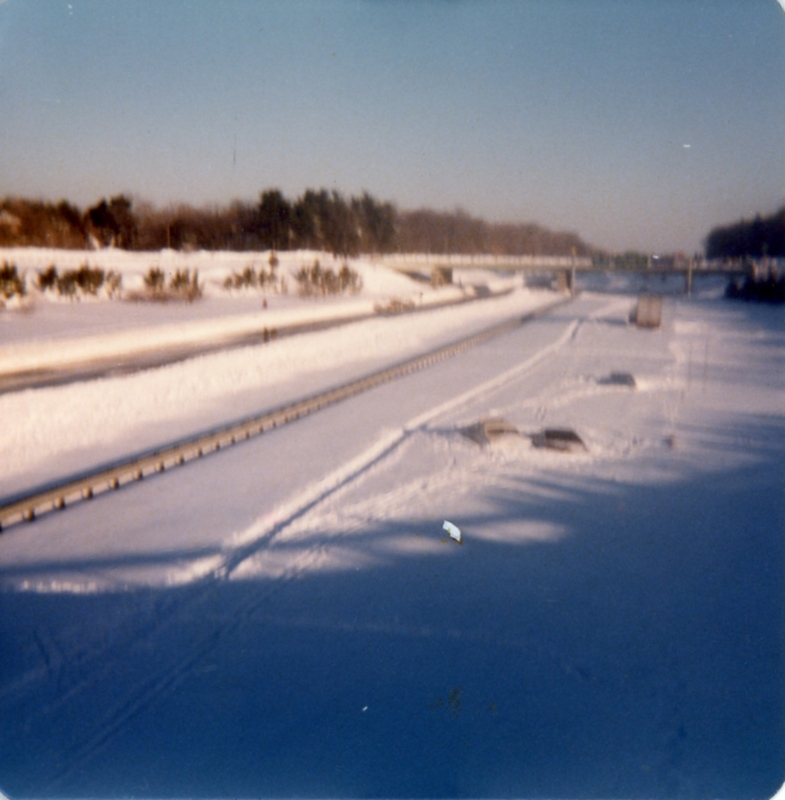 I too commuted home from college in Bridgewater the day the storm started- I remember it snowing on the ride home, but had no clue as to just what a storm it would become. Pretty scary ride home from Bridgewater state that day. I think I had a few heart attacks after I dropped you off and drove those last few miles from Tower Street to Washington Street. Thanks for being a good driver, Darlene. Was that car some shade of metallic green Chrysler or Ford, with a plush, velvety green interior?